Certification in behavioral analysis isn’t just for professional offices, it’s making an impact in the classroom too. Corporate consultants and life coaches have long known that using DISC is a great tool for coaching people to become expert communicators. The best HR departments and managers have also adopted DISC Certification to help professionals improve interoffice communication and sales staff to create more “behaviorally intelligent” sales forces. However, DISC Certification is not limited to the corporate world. School educators can also learn to adapt their personality styles and boost their “behavioral intelligence” to give them a communication edge in the classroom. With all of the teaching aids available to educators today, one of the most fundamental is the DISC Certification. DISC, as a teaching tool, is part of a multidisciplinary approach to helping educators adapt their teaching style as well as becoming more “behaviorally intelligent” in the classroom. The following are among the two most important reasons why educators should become DISC Certified and school administrators should adopt DISC Certification campus-wide among educational instructors. The best educators and tutors know that the same teaching approaches don’t work the same for all students, rather, differentiated or targeted approaches often work best. Each educator has a primary communication or teaching style, and each student has a primary communication and learning style. Understanding the DISC language of communication, as established by Jung and Marston, is a simple, yet profound, way to help teachers be better understood and “get through” to students. 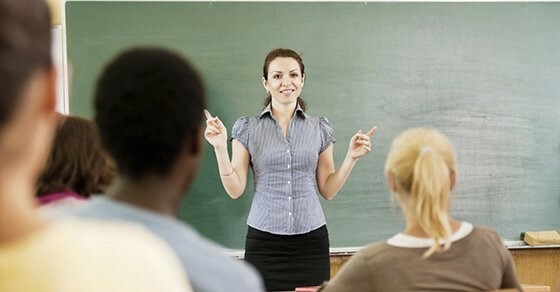 DISC certification teaches the foundation of DISC behavioral theory and gives teachers a framework for identifying students’ communication styles so that instructors can better teach hard skills. DISC, as a soft-skills training course, can help student’s better understand and retain the hard skills. For decades people have known the importance of “emotional intelligence” (EI) to recognize and understand our own emotions as well as others’ emotions. In practical terms, EI means that everyone should be aware of how emotions play a part in all we do. EI is important because understanding EI helps encourage empathy, which is required for harmony at work, home and school. Just as it’s good for teachers to have a foundation to understand the impact of emotions, it’s equally useful to understand how our natural behavioral tendencies impact how students relate, approach tasks, make decisions, work with a team and operate under pressure. A foundation of understanding behavioral dimensions, Behavioral Intelligence (BI) and the practical applications of BI will help educators create better communication flows in the classroom. Like other teacher tools, DISC is a tangible methodology that can be a great training tool for teachers to raise their Behavioral Intelligence. Institutions which adopt DISC school or campus-wide are truly utilizing the universal language of communication to create the best teaching and learning environments. 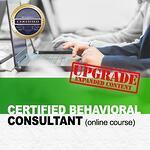 Watch our short intro video to more about becoming certified in behavioral analysis.